The Ashley is more than just a river to the residents of South Carolina's Lowcountry. Because of its length and innate beauty and the sense of direction it provides, it is more like a gift of Nature. The Ponds, a spectacular 2,000-acre community in Summerville, is at the headwaters of this historic river, at Schulz's Lake. "We are the highest point of navigation," said an enthusiastic John Morgan, community manager at The Ponds. "This is the beginning of the Ashley River." The Ponds has more to offer than an excellent location and an eternal connection to one of South Carolina's most picturesque bodies of water. "We have a diverse range of multifamily homes, town homes and single-family homes that are blended together like a true Southern town. They aren't sectioned off like most places you find today," Morgan explained. "The Ponds is definitely a place where you can live, work and play." Greenwood Communities and Resorts purchased the property now occupied by The Ponds in 2005 and sold the first lot in 2007. The company has been a leader in creating and managing award-winning residential and resort communities in the Southeast since 1979, when it developed Palmetto Dunes Oceanfront Resort on Hilton Head Island. It has since established a presence in the South Carolina Upstate, the Georgia mountains, the Florida Panhandle and the North Carolina mountains. "We had a successful year in 2007, but the market took a rough turn for us in 2008," explained Penny Davis, on-site sales manager with The Ponds and Carolina One Real Estate. "We carefully evaluated the market and implemented some changes to offer more value to the consumer, while at the same time retaining our core community values. In 2010, our sales picked up as we introduced a couple of new builders. We sold more than $10 million worth of real estate. That is a tremendous feat, especially in this market. Having a developer that can work through the tough times has been fabulous." 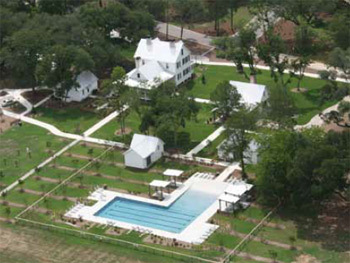 A plantation, also known as The Ponds, was established on the site in 1691. "This is as authentic as it gets," Morgan observed. "We have restored the third residence built at this location; the others were destroyed by fires over the centuries. Our restored 1830s farmhouse is now part of our first neighborhood community center." Davis concurred and added that Greenwood has worked with local governments to help establish a top-quality community at The Ponds. The company donated land plus $3 million for the on-site Summerville YMCA, as well as land plus $500,000 for Dorchester County fire, sheriff and emergency service substations. Greenwood even set aside a site for a future elementary school for the Dorchester II School District. "Our level of community is one that Dorchester County has never seen," Davis explained. "Many other areas are subdivisions, while we are a master-planned community. The amenities were put in place before the first homes were sold." Among the Ponds' amenities are access to membership in the on-site YMCA, a 25-meter saltwater pool, the restored 1830s farmhouse that is part of the community center, five parks, two 20-acre ponds, an Amphitheatre and a 20-mile trail system. "In the future, we will have 62 miles of walking trails and sidewalks," Morgan said. "Walking trails are among the most requested amenities for people looking to buy." The Ponds also offers an 1,100-acre conservation area with a conservancy director. The Ponds Conservancy is a not-for-profit organization created to enhance the quality of life in the community. Its function goes beyond protecting Nature and the beauty of the land; its main purpose is to become a thriving resource for community activity. In the past couple of years, the Conservancy has hosted events such as Fourth of July festivals, presentations by the Summerville Community Orchestra, various social functions and several Piccolo Spoleto events. In addition to top-of-the-line amenities and an excellent location, five builders offer a variety of homes ranging from the $190,000s to the mid-$300,000s. "That's the cool thing about The Ponds," said Davis, who has more than 16 years with Carolina One's New Homes Division. "We can satisfy many needs with our five-member home-builder team. Whether you are retiring or starting out, we should have something available." Builders in The Ponds are David Weekley Homes, D.R. Horton, Harbor Homes, HHHunt Homes and Sabal Homes. "We have a very strong builder team, with good track records and efficient construction methods," said Morgan. "We select our builders carefully; they all offer a good value to our consumers." Morgan sums up the vision of The Ponds with a smile. "We at Greenwood are very careful to be good stewards of the property and to give people more than what they expect. We can go on forever about this very special place. We appreciate the opportunity to develop this property in a sustainable way so people can always enjoy it. It is a unique situation." 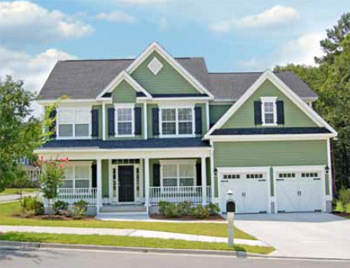 To learn more about The Ponds, Greenwood Communities and Resorts or builders at The Ponds, visit www.discovertheponds.com or call (843) 832-6100 or (877) 326-0777.